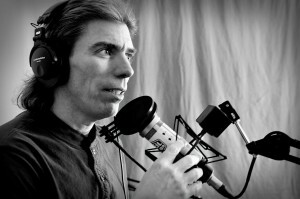 Joel Boggess is a podcast and book launch expert. He’s the guy people call when they need a tested and proven plan to hit #1 with their book or Podcast. As a radio veteran and bestselling author, Joel knows the strategies and the tactics that will help you and your message be seen, heard, and recognized. Get Ready to be inspired by Joel Boggess as he shares what he does online and what he does to help others create Wealth in the Digital World. Mentioned in Inc as one of the top 20 business podcasts of 2015. His latest book, Finding your Voice, hit the #1 spot on Amazon for success, happiness, and in the self esteem categories. Originally from San Antonio, Texas, Joel earned his undergraduate degree at Texas Tech University, an MBA from Amberton University, and a Master’s in Counseling. #1 Bestselling author of “Finding your Voice” available on Amazon. Going MOBILE? Get the APP for DROID and iPhone and take ReLaunch! with you. This entry was posted in #1 Show, Author, Blogger, Business Growth Expert, Business Strategist, Digital Author, Digital Brand Creator, Digital Publisher, Online Personality, Podcast Host, Podcasters, Sales Strategist, Uncategorized and tagged Author, Income, Income Online, Lifestyle Entrepreneur, Mastermind, Money, Online Income, Online Personality, Podcaster, Revenue, Sales, Sales Process, Speaker, U.S.A., Writer on March 24, 2016 by ArJay the Digital Professor.